Sail Wakatobi-Belitung 2011 is less than two months away while unique cultural attractions have been prepared to enliven the international marine event. 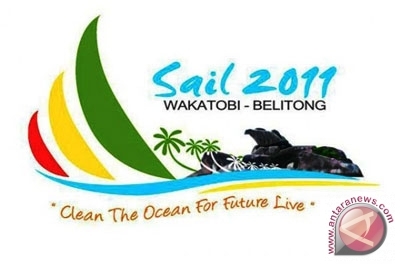 While attending an international seminar as a speaker on global climate change, Wakatobi district head Hugua said over his cellular phone from Bangkok on Thursday the Wakatobi district government and local people had made various preparations to host Sail Wakatobi-Balitung as part of Sail Indonesia 2011. "To welcome the Sail Wakatobi-Belitung event in which world-class divers will take part, the Wakatobi district government and local people have prepared cultural attractions of Kabuenga, Bangka Mbule-mbule, and Karia to entertain the participants of the international marine event," Hugua said. He said the Bangka Mbule-mbule attraction would be performed by thousands of people from various coastal areas in Wakatobi to greet the participants of the international marine event. Hugua added that Wakatobi people have also prepared various art performances and dances to greet the Sail Wakatobi-Belitung 2011 in Wakatobi. "Without much to say, the arrival of Sail Wakatobi-Belitung participants in Wakatobi will be marked with big parties because we have set up a committee to greet them as well as possible to make their visit pleasant," Hugua said. Commenting on Kabuenga art performance, Hugua said it was a tradition which was regularly held in Wakatobi every year and participated in by grown-up male and female who wanted to find their life mate. "In this cultural performance, every man and woman who intend to live together juxtaposed in such a swing in the middle of an open field for all to see," Hugua said. Hugua also said that the 50-kilometer long outer ring road in Wakatobi district town of Wangi-wangi was being asphalted for Sail Wakatobi-Belitung 2011. "The paving of Wangi-wangi outer ring road is scheduled for completion by the end of July before President Susilo Bambang Yudhoyono visits Wakatobi early in August 2011 to open Sail Wakatobi-Belitung international marine event," Hugua said. Asked about the amount of funds needed to pave the road, Hugua said more than Rp10 billion had been allocated from Wakatobi 2011 district budget for the project but it was not enough. He said any shortage of funds would be met by the central government through Public Works Ministry from the state budget. "We have proposed a budget of more than Rp40 billion to the Public Works Ministry and we hope our proposal will be responded as soon as possible," Hugua said. According to Hugua, President Yudhoyono and First Lady Ani Yudhoyono would be in Wakatobi to open Sail Wakatobi-Belitung 2011 and then to lay the cornerstone of an international fishery school. Meanwhile, Wakatobi Transportation Department Head Syarifuddin said recently that three docks, namely Wangi-wangi, Kaledupa, and Pulau Tomia in the district, have been fixed for Sail Indonesia 2011 in August this year. He said the three docks were expected to be completed by the end of July before the international marine event kicks off. Accordint to Syarifuddin, the docks would be used by the participants of event and the divers from around the world. Besides, they will also be used by naval ships to conduct a so-called Surya Baskara Jaya health operation. Meanwhile, Maritime Affairs and Fisheries Minister Fadel Muhammad has ever said that Sail Wakatobi-Belitung 2011 was expected to promote investment and tourism in Wakatobi and Bangka-Belitung. "The international maritime event will contribute positively to national economic development, and the economy in the two regions particularly," Fadel said recently. Wakatobi is located in Southeast Sulawesi Province, on Sulawesi Island, while Belitong or Belitung is an island located in Bangka Belitung Province, on southern Sumatra Island. Having underwater panoramic beauty and breath-taking diving sites, Wakatobi is a biodiversity hot spot especially known for various species of coral reefs. At least 1.3 million hectares of Wakatobi are part of Wakatobi National Marine Park with Karang Mari Mabo, One Mombaa, Hioga Isle, and Patuno beach diving sites. Mari Mabo in the local dialect means getting drunk. The diving site is called Mari Mabo because the area has stunning under water panoramic beauty that makes divers stay longer under the water and forget to resurface. Wakatobi is also situated geographically at the world`s coral reef triangle center and has around 942 fish species and 750 coral reef species. As stunning as Wakatobi, Belitung Island is also blessed with beaches having blue sea waters, coral reefs, fine white sand, and giant granite rock formations. Belituong exotic beaches include Tanjung Kiras beach, Tanjung Pendam beach, Tanjung tinggi, Tanjung Kelayang, Tanjung Binga fisherman village, Panyaeran beach, Tanjung Kubu, Gembira bay and Tanjung Ru, which are ideal sites for diving, scuba, snorkeling, fishing and sailing. The island also has other tourist attractions such as Golf Babute driving course, Lengkuas island, Gurok Beraye waterfall, Batu Baginde hill, Tirta Marundang natural pool and Dayang Seri Pinai Pool. Themed "Clean the Ocean for Future Life," Sail Wakatobi-Belitung is expected to respond to the climate change which has triggered the temperature of the ocean surface to rise. It is also expected to become the biggest international marine event ever held in Indonesia after the events of Sail Bunaken 2009 in North Sulawesi and Sail Banda 2010 in Maluku.